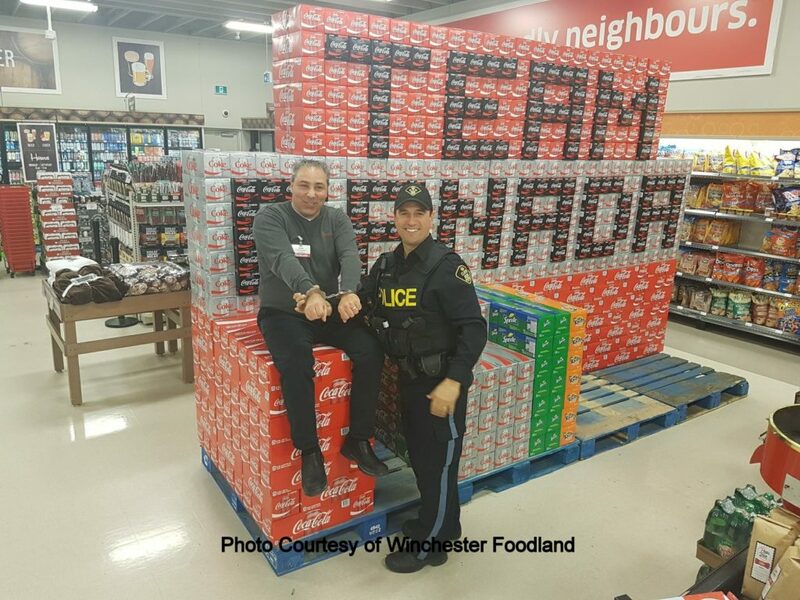 On January 13, 2018 The Seaway Valley Crime Stoppers Program is hosting an event at Foodland in Winchester, Ontario. 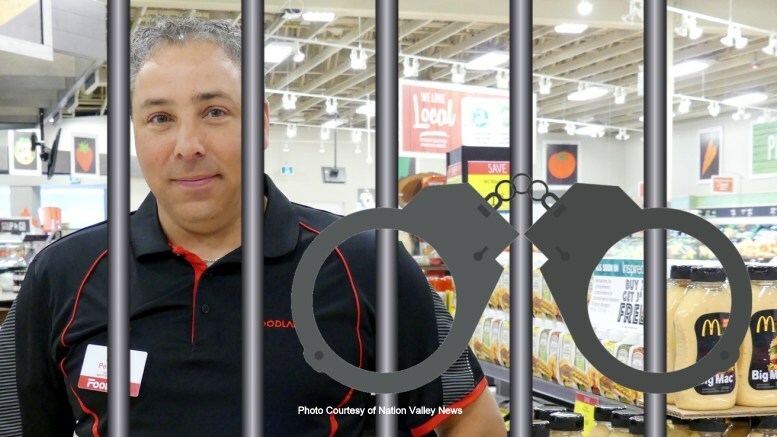 The business owner of Foodland Dan Pettigrew will be arrested and placed in a Coca-Cola case jail cell. Cuffed up for a cause will see Dan put in 250 pairs of handcuffs. The fundraising event is in support of #crimestoppersmonth2018 The event will take place at 9am until Dan is free from all 250 sets of handcuffs. 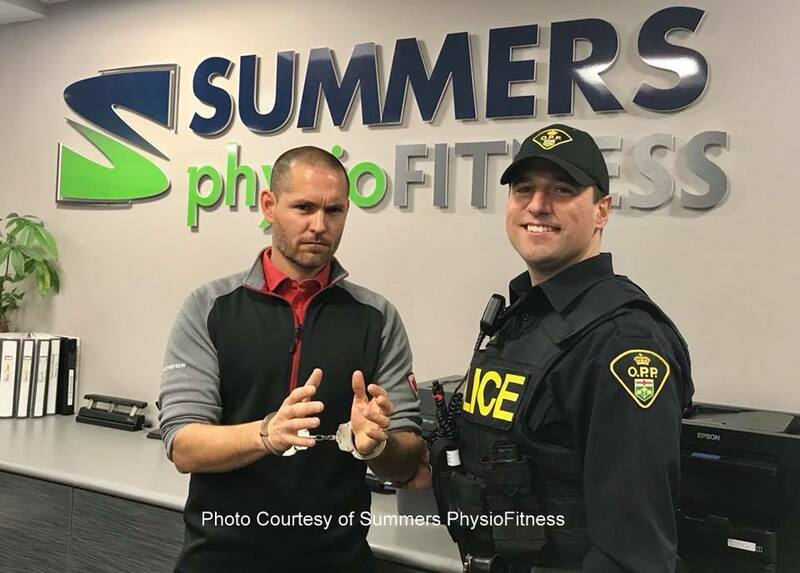 Also, during this week PC Tylor Copeland of the SD&G OPP will be around the village making other “arrests” of local business owners and community celebrities. 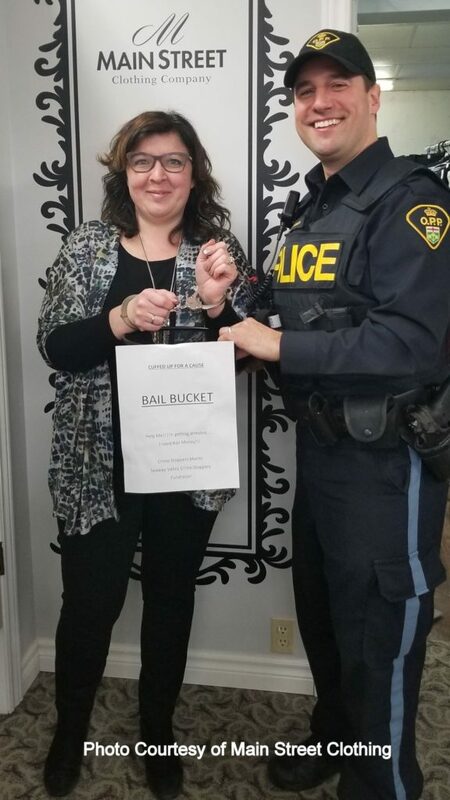 If one of your community friends gets taken in make sure to fill their “Bail Bucket “ to get them out of the cell on Saturday. 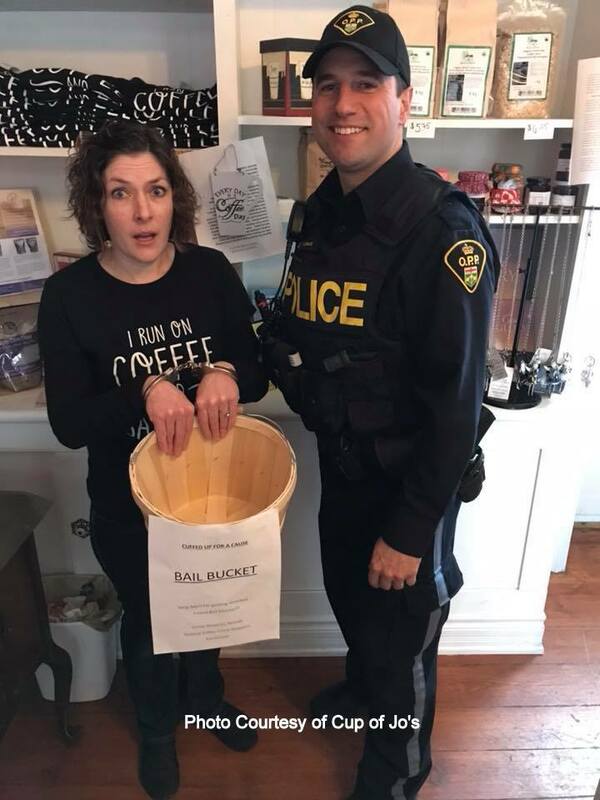 Winchester Press editor Matthew P. Uhrig has been arrested along with Cup of Jo's co-owner Jo-Ann Martin, Main Street Clothing Company owner Lisa Williams, North Dundas District High School vice-principal Mike Deighton and Summers Physiotherapy owner Dave Summers have been rounded-up in the "Cuffed for a Cause" campaign. The key to their release is donations, otherwise their time in the clink continues throughout the day this Saturday at Foodland. For every $10 donation a pair of cuffs will be removed from his body. 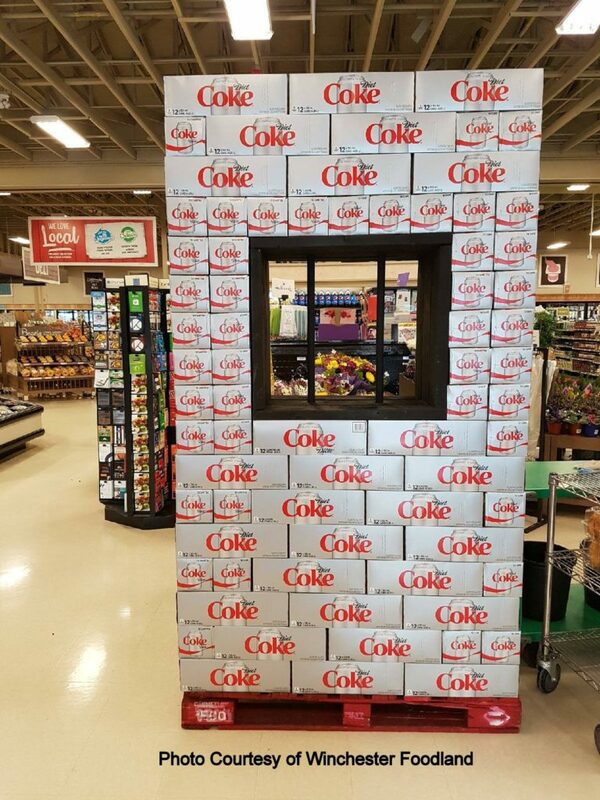 Coke has so generously donated an actual jail cell for Dan to sit in. Every $10 donation will get you entered into 5 prize draws... a mini fridge,a Coke clock ,a Superbowl basket, a “cold as burr” basket and a $100 Foodland gift card can be won. 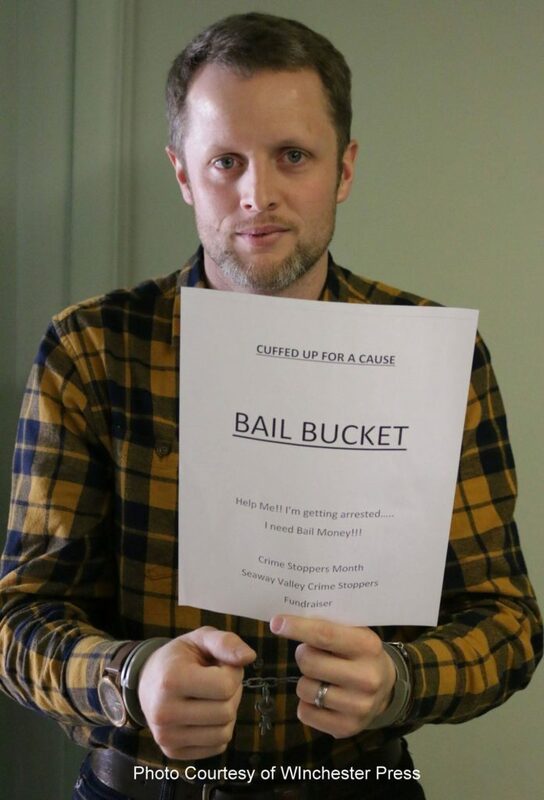 Dan is begging for your help as he doesn’t want to spend the entire day in handcuffs!!! Come on out and support another great cause for our wonderful community.